The Davidson County Sheriff's Office arrested a man they say threatened to set an apartment on fire that had children inside of it. The Davidson County Sheriff's Office says a man attempted to set on fire a home that had children inside of it. THOMASVILLE, N.C. - The Davidson County Sheriff's Office arrested a man for trying to set an apartment on fire and assaulting a police K9. Officers responded to an apartment complex in the 300 block of Maple Lane after getting a 911 call about a man trying to set an apartment on fire while children were still inside. An arrest report says 41-year-old Buddy Woodrow Rhodes threatened to stab a man and then sprayed lighter fluid around a room occupied by children, intending to set the room ablaze. Davidson County deputies said Rhodes ran from a deputy, who responded to the scene, then he punched and attempted to blind the K9, by gouging his eyes, the Dispatch reported. 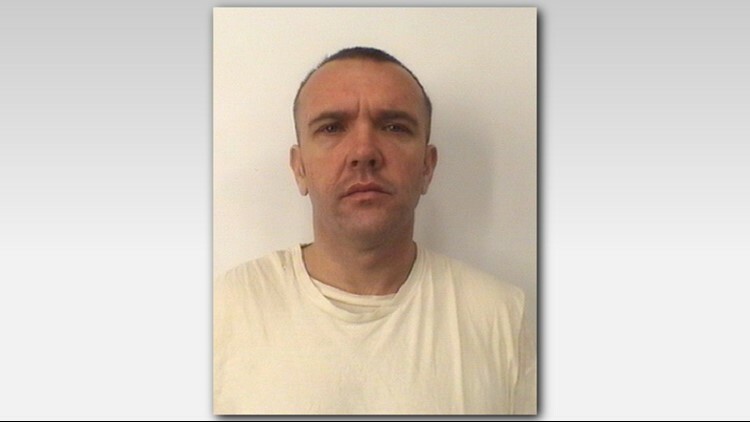 Deputies say Rhodes was captured by the officer's K9 after he disobeyed commands and he was armed with a knife. Rhodes is also wanted in South Carolina on full extradition, a police report states. Buddy Rhodes has been charged with Felony Attempted First Degree Arson, Misdemeanor Communicating Threats, Resist Arrest, Felony Assault on a Search and Rescue K-9 and Failure to Appear for South Carolina with Extradition. He received a $1,000,000 bond.